40 years of Mountain Lakes Lacrosse!! I thank you all for providing a strong family atmosphere that has helped us work hard, have fun, win games and championships and hopefully enjoy the journey. I know I have! Our players over the years have upheld a strong tradition of spirited, smart play, a fine level of toughness and skill and a true desire and commitment to brotherhood and our program. Our parents have supported our coaches and players and worked hard to allow a strong focus on competing. Our coaches have been great friends to each other and to their charges. 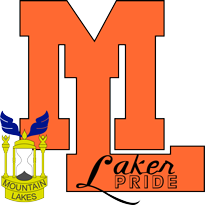 Everyone involved in Mountain Lakes Lacrosse has helped in our quest to be the best. I am so very, very proud of everyone involved and what we have accomplished together. Our target date for getting together and exaggerating how good we were is……..SATURDAY-JULY 6…..We are looking to have the game at 2 pm with a celebration to follow at Jamie Rodgers House. Jamie has again very generously agreed to host our gathering. He has been instrumental in advancing the idea of Laker Pride and comradeship. I want every one of you to know how much Jamie has helped continue the idea of Laker Family and dedication to the ideals that have made being a Laker special. You can sign up for the game and/or order apparel on this website. Remember—-if you no longer want to play, you can always be an assistant coach on the sideline with me! Hope to see you all on the 6th of July to celebrate this beautiful thing that is Mountain Lakes Lacrosse.